If you are new to teaching English online, then you might be wondering how best to plan for your new students. It’s one of the most common concerns that new teachers have. This article gives you three tips to plan more effectively and includes links to my favorite resources and lesson plans so that you can go into your lessons with confidence. This creates a different dynamic and, in most cases, puts more focus on speaking and listening. The one-to-one nature of the lesson means that lessons can – and in most cases should – be tailored to each individual student. This is a key point and something that will be touched upon throughout the article. 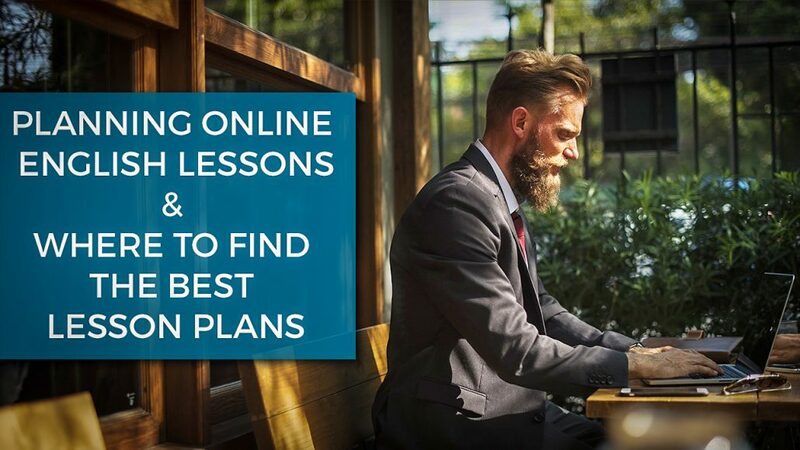 With those two things in mind, here are my three tips to help you plan for your online English lessons. Get your student and then plan. Don’t feel like you have to build up a pile of resources before you start marketing your services. In fact, it’s advantageous to work with your new learner when coming up with a curriculum. Every learner is unique and what works for one student won’t necessarily work for another. We can take this to the extreme: an advanced learner who has a weakness in speaking and is studying for the IELTS exam will need different lessons to a beginner who wants to learn some basic phrases and grammar. How you decide to teach might limit this disparity. For example, if you only focus on IELTS preparation, then this will limit the scope of resources needed. Yet, there will still be differences between your students and accordingly, a different class will need to be taught. This can all be planned out starting with the initial trial lesson/consultation. This is where you are evaluating the student and asking what he/she would like to get out of his/her lessons. A great question to ask is this: why do you need to learn English and how are you going to use it? Answers to this question will help you both come up with a tailored plan for the next lesson. Create lessons based on the English they need to know and work on weaknesses that come up during the first lesson. For example, if the student can’t use the second conditional, introduce this into the next lesson. Find resources that will help you (tip number three) with the teaching of this grammar point. Go lesson-to-lesson and keep everything specific to your learner. As the majority of online lessons are one-to-one, there is more emphasis on speaking. A typical classroom lesson usually includes group work, listening exercises, reading, and writing where the student often does this in silence. These type of activities aren’t as prominent in online lessons and, when given, are done verbally. Or in the case of writing, outside of lesson time. 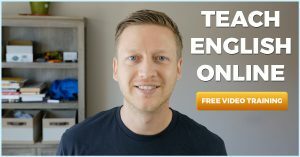 From my experience, many learners want one-to-one online lessons so that they can get more speaking practice. They want to have an environment where they can express themselves and receive feedback on mistakes they make. Having said that, this doesn’t mean that lessons have to only be made up of informal conversations. It’s important to still have a certain structure that makes up your lessons. You don’t want to spend hours and hours planning. Luckily, you don’t have to. After gaining experience online, you’ll be able to plan a lesson within minutes based on an ariticle, news story, or a video. Additionally, you will be able to plan while you’re teaching depending on how the lesson is going feedback from your student. With new students, you’ll be able to recycle past plans without having to review them first. … if you’re new to teaching, this isn’t possible. Instead, I recommend using lesson plans that others have created and if this is in your plan, start creating your own too. Off2Class: Lesson plans specific to online lessons with a student portal. Great for structured lessons. Breaking News English: Numerous activities and conversations based on news topics. Film English: Plans based on short films. ITESLJ: All the conversation questions you’ll ever need. Personally, I’ve never used a textbook with a learner. It doesn’t quite work as you both need the book for legal reasons and it’s much easier to screen share an article or parts of your plan using teaching software. You can even embed videos and have the sound play on both ends. If you create your own lesson plans, post them on your blog. This not only helps your current learners review what they have done but also can help you attract new learners. Share these plans on Facebook and with other teachers. This is how I attracted a lot of new students during my first years. One of my lesson plans got shared by the British Council and thousands of new students and teachers found my blog. Be sure to include a call-to-action (either a trial lesson or a lead magnet) to capitalize on this new audience. Including a clip of you teaching the lesson plan will help you build a connection with your new learner. Include one if you can. What tips do you have for planning online lessons and which resources/plans do you use? Leave a comment below sharing your favorites with us.